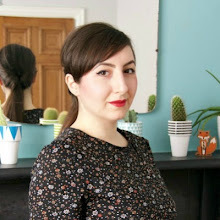 A day later than scheduled due to an additional post on the shawl collar construction from Rachel yesterday, but we're now ready to sew up our pocket and skirt pieces. 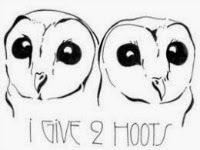 Woohooooo! Rachel has already shown you how to interface and line your pockets, but I'm going to go through the process in a little bit more detail for you today. For the record, I didn't interface my pockets, because my crepe is quite sturdy and I wanted to avoid a bulky look! 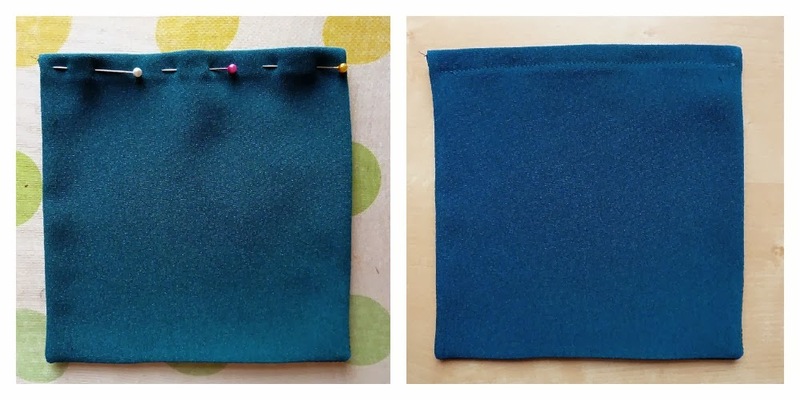 Start by pinning your lining (I'm using some beautiful silk cotton) and pocket piece right sides together. Sew the two together using a 1cm seam allowance (unless you've allowed more for yours) and then trim across the corners of your pockets as illustrated below. Take care not to cut through your stitches though. 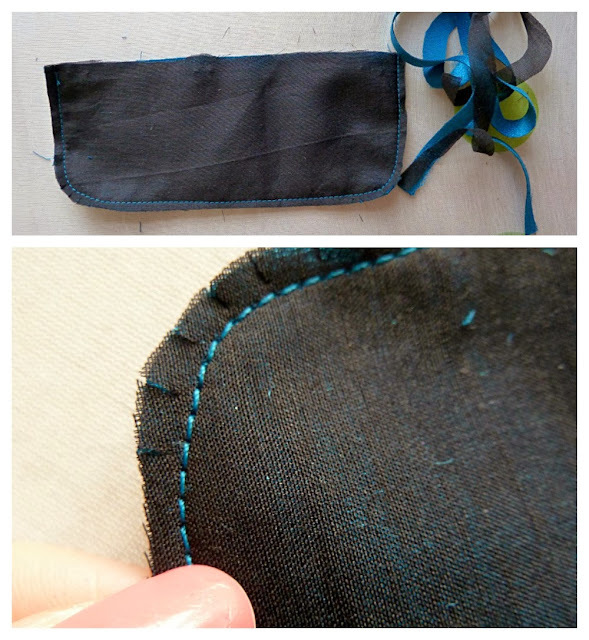 Trim the rest of your seam allowance and turn your pocket to the right side. Use a pin or knitting needle to tease the corners out and give it all a nice press, taking care to make sure the lining doesn't peep out. Rachel cleverly sewed all around her pocket and left a small opening which she then slip stitched shut by hand. I didn't think of that at the time, so I just turned my seam allowance under, gave it a good press and turned it under once more with another good press. 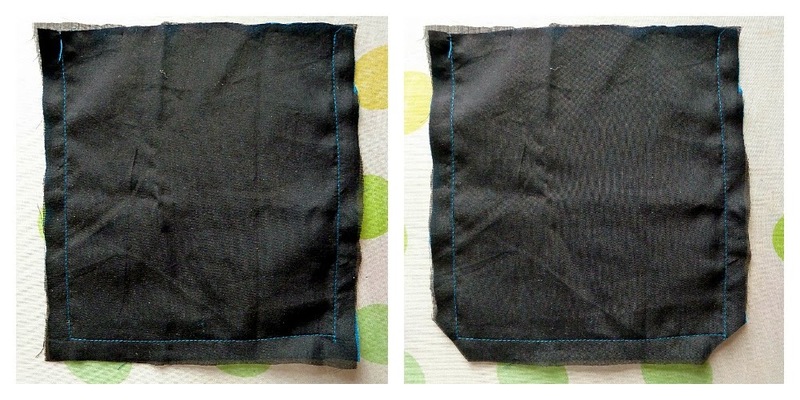 Pin this down from the right side and sew close to your fold. 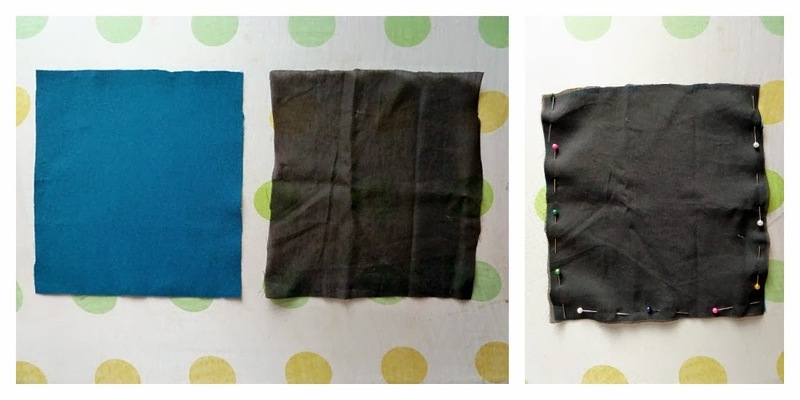 Now you just need to repeat these steps for your second pocket and both pocket flaps. 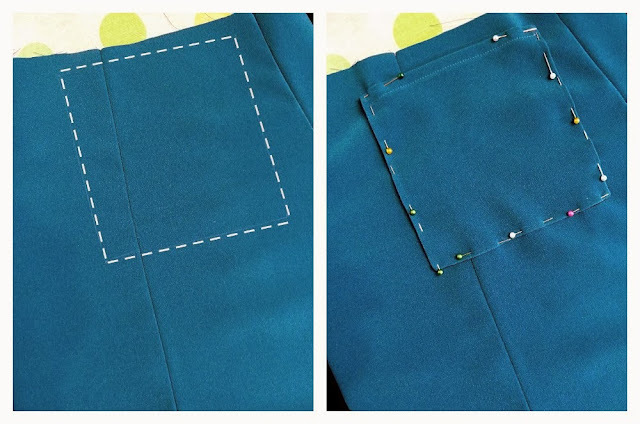 Once you've trimmed your pocket flap seam allowance, you may find you need to notch along the curves to make it lie nicely. Also, once you turn your pocket flaps to the right side, leave the top side unfinished. Put your pockets to one side and gather your skirt pieces. 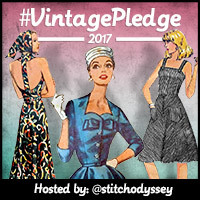 Place your two front skirt pieces right sides up, then flip the right hand side over the other so that right sides are facing. Pin into place and sew together. Finish the seam however you like - I overlocked mine and here's a reminder of this and finishing other techniques - and give it a good press on both sides. Now place your skirt front and skirt sides next to each other with right sides facing up. I've highlighted the pocket placements below so you know how to lay out your pattern pieces. First flip the right hand side skirt piece over so its right side faces the skirt front piece, and pin into place. Make sure you fold back that side skirt piece (to avoid it getting caught in a seam line) and repeat with the left hand side skirt piece. 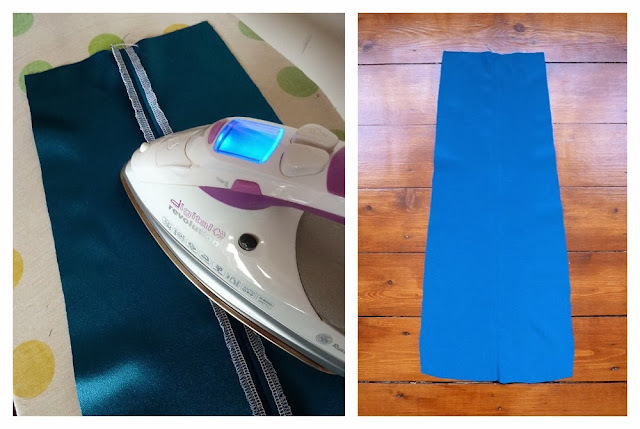 Sew down both skirt sides, finish your seams and give it all a good press again. 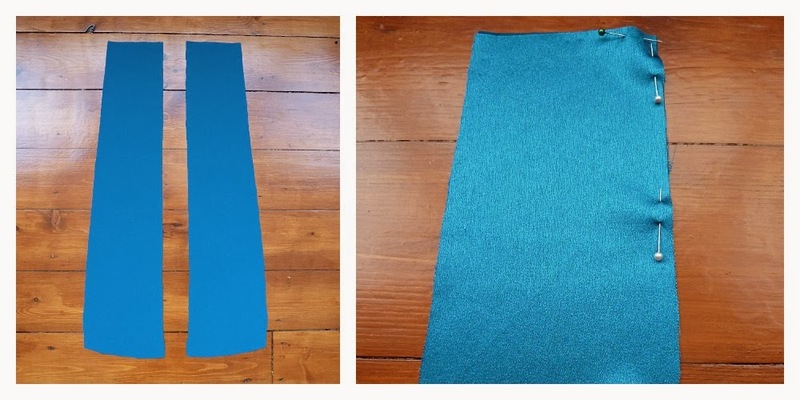 The wrong and right sides of your skirt front should now look like the two pictures below. 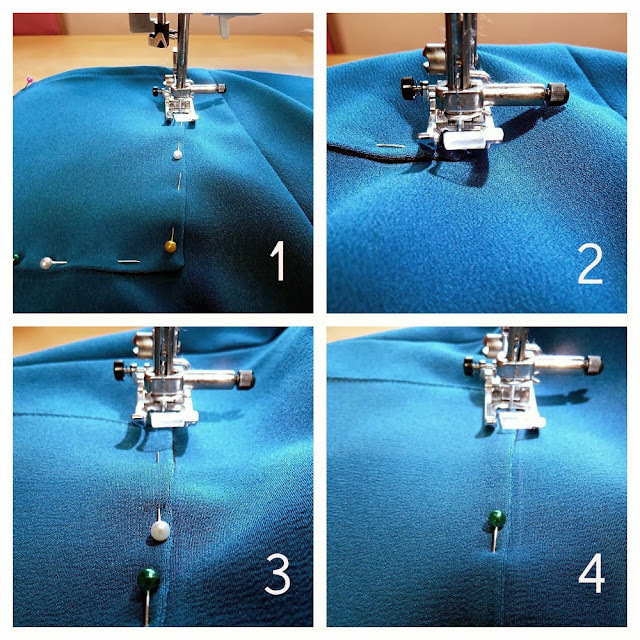 Repeat this exact process for your skirt back pieces. 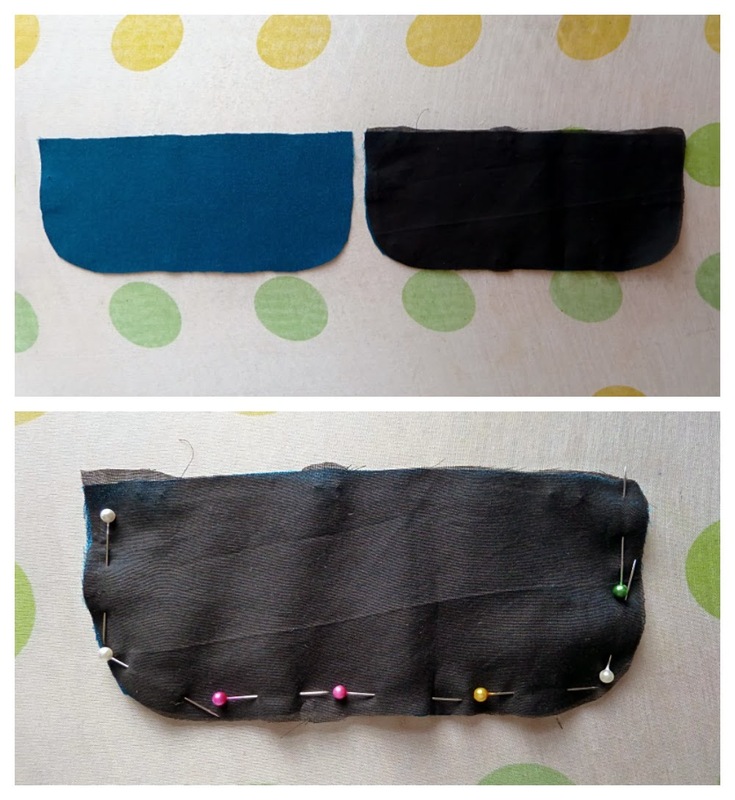 Now lay out your skirt front and back pieces side by side, with right sides facing up. 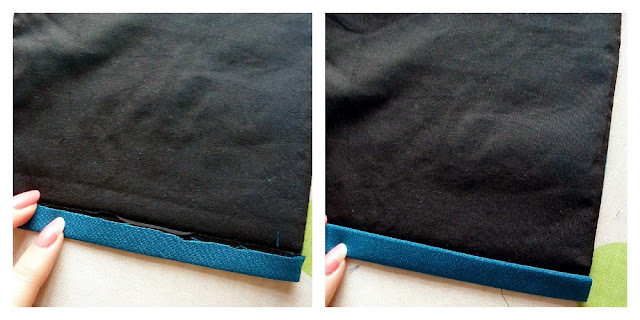 Flip one over the other so that right sides are facing and pin the side seams in place. 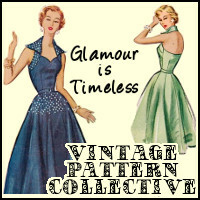 Sew them up, finish your seams and give it all another good press. Now, lay your skirt flat so you can see your pocket placement lines. Carefully pin your pocket on top, making sure that everything matches up as well as possible. 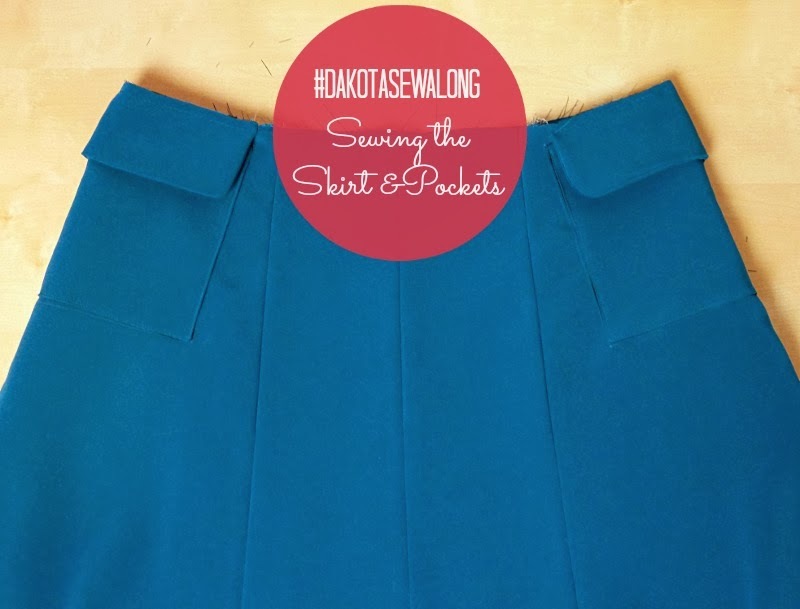 If like me, you find that your pocket placement lines didn't match up perfectly, make sure that the top of your pocket is an even distance away from the top of your skirt. 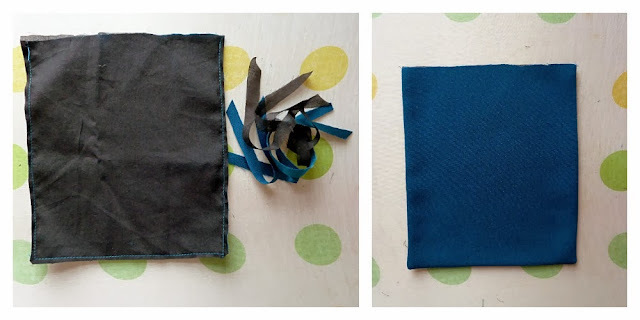 You start from the top of the right hand side of your pocket, sewing close to the edge. When you reach the bottom of that side, leave your needle down and lift your presser foot. Now pivot your fabric around so that your presser foot is lined up with the bottom side of your pocket. Lower your presser foot and continue sewing. Repeat when you get to the next corner. And voila, we've got beautiful pockets and an equally beautiful skirt! 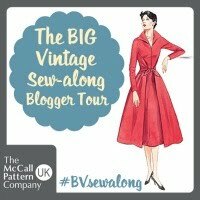 Next time, Rachel will take you through attaching the pocket flaps and joining the skirt to the bodice. I hope you're keeping up with us ok, but please do let us know if you have any questions! i cant get over how shimmery your blue fabric is! Love the colour of that fabric. Your dress looks fab.